The holiday season is upon us and with it, more opportunities to serve our fellow veterans and their families. On Thursday, December 7th, I had the honor of donating Christmas presents on behalf of our District to a child of a veteran in the VASH program as part of the Serenity's Angels program. Afterward, I went to the American Lake VA Hospital Community Living Center where I helped serve lunch during their annual holiday party. 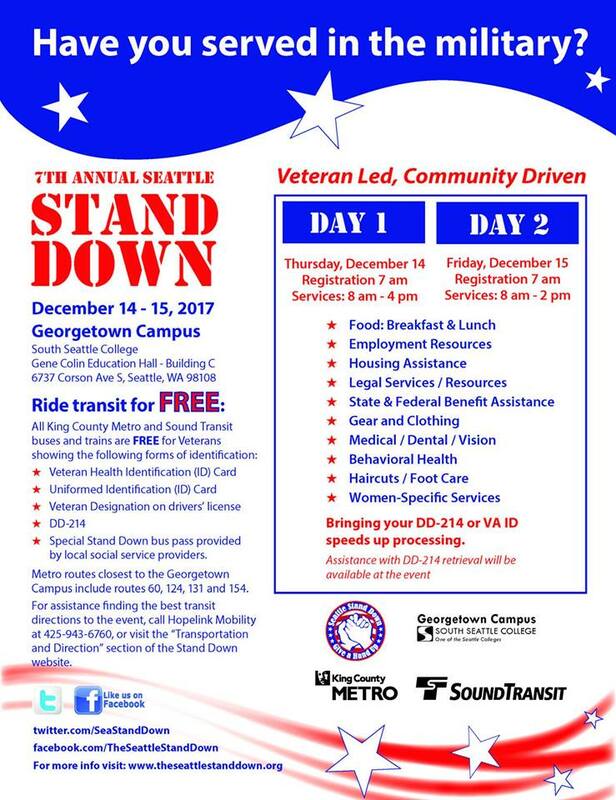 On Christmas Eve, I will be helping distribute gifts to the inpatients at the American Lake VAMC, then again on Christmas morning at the Seattle VAMC. If you are free that morning and would like to join me, please meet at the Seattle Campus at 8:30 a.m. I look forward to hearing how you spent your holiday season at our next District meeting on Saturday, February 24th at Ballard-Eagleson VFW Post 3063. Lunch starts at 11:30 a.m. and the meeting will begin immediately after the Memorial Ceremony, which starts at 12:30 p.m. Due to the solemnity of the event, I respectfully request that all Post members wear their blue and gray uniform if they have one, or other similar attire. Also, if you have any nominations for Veteran of the Year, please turn them in to Comrade Mariano Murillo at this time. Our next newsletter will be released in March 2018. If you have an article you would like to submit for this issue, please email it to me at mlovevfwvso@outlook.com no later than 28 February 2018. To the Auxiliary Members of District 2, Happy Holidays. It has been a fast moving year so far and I know the Auxiliaries are busy working on the programs for District and Department. District 2 Auxiliaries need to continue to work to keep our Auxiliaries moving forward in membership and community service. 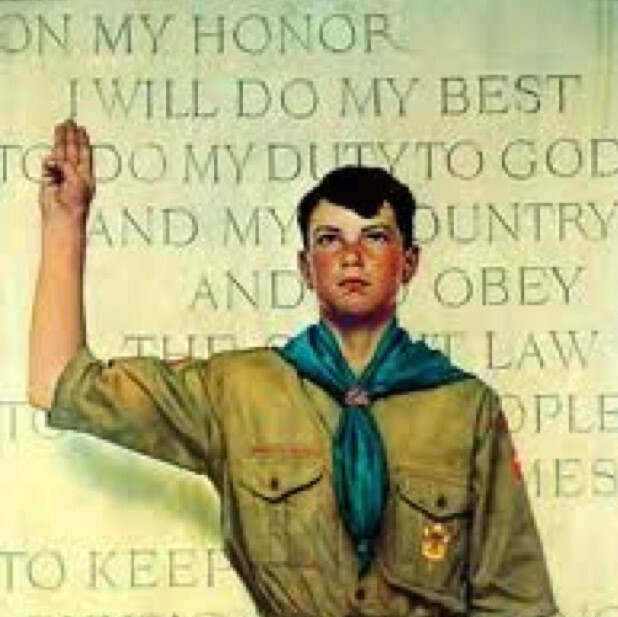 Looking forward to seeing you at the February 24, 2018 Joint Meeting at Ballard-Eagleson Post 3063. Joint Memorial will be held at 12:30 pm; District Meeting to follow. Merry Christmas and (Your) Special Holidays to District 2 Comrades and Auxiliary Members!! It's been a big year for me. I was appointed USO Liaison/Advocate for Department of Washington. Then I had the opportunity to tour our fabulous SEATAC facility and even use it waiting for a flight to San Diego en route to the big Western Conference meeting. I urge everyone to drop by and check it out, especially if you're catching a flight or just for a quick visit. It was voted Best in the U.S.! We had a good District meeting at Farwell-Roosevelt Post 2713 in West Seattle. I certainly encourage all posts to be represented. Information from National as well as an input from each post in the District is disseminated and should be taken back to inform members at each post so you all know what is going on around the VFW Conferences, etc. If your Post is having a Christmas/Holiday Party, pass the word. I personally enjoy visiting other Posts and neighborhoods. Don't forget our Mid-Winter Conference in Spokane, 19-20 January. So Comrades, Sisters...and now, Brothers: Thank you for supporting fellow Veterans and being a member of the Best Veterans organization in the world! Let's keep and improve our membership....."No One Does More for Veterans". The Dept. of WA. Auxiliary just had the honor of hosting President, Dee Guillory. 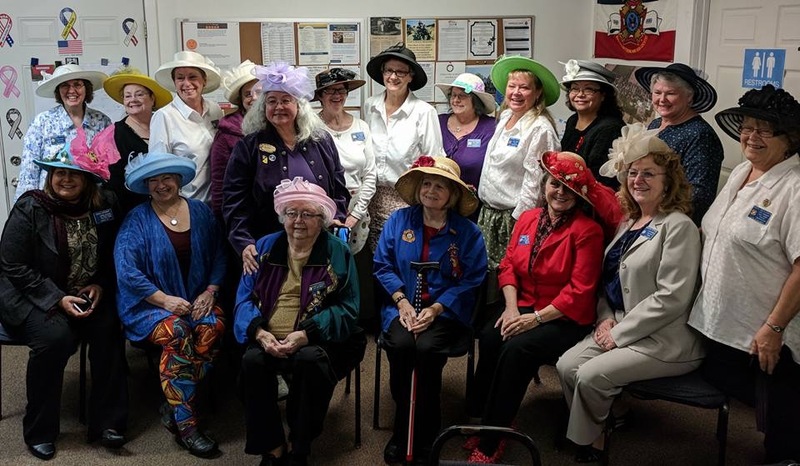 Her visit began with a tea at Toutle Post & Auxiliary #10882, on Thursday, 11/30, at 2:15 pm. On 12/1, the group toured the Veterans Memorial Museum in Chehalis, then went to the Therapeutic Riding Center in Rainier, WA. This is President Laurie's, and Commander John's special project. 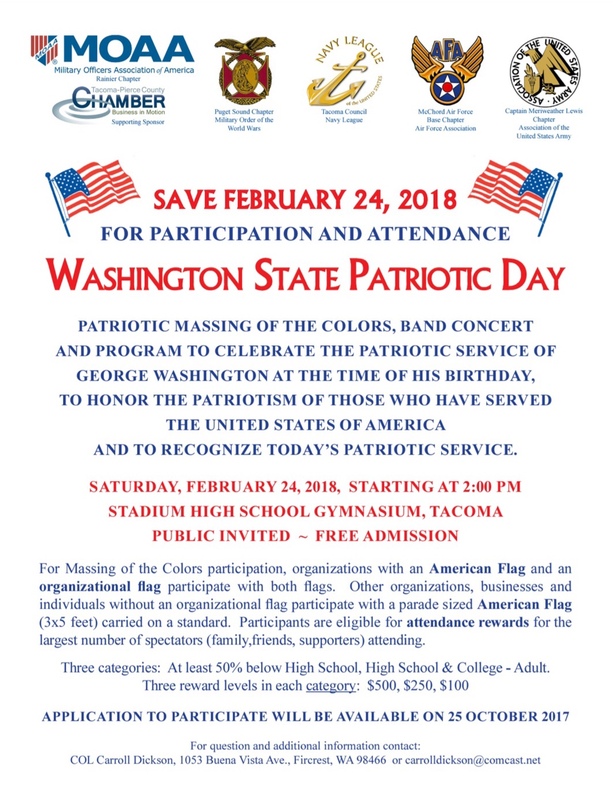 On Saturday morning we toured the Museum of Flight in Seattle, then convened at 4:30 at Skyway Post and Auxiliary #9430 for an Aisle of Flags to honor our National President. We capped it all off with a banquet of some of Dee's favorite foods, salmon and chicken. Every Post and Auxiliary in District 2 had winners in the Essay Competition, so we expect to see all of you at the District Awards Ceremony and Ice Cream Social, on Jan. 6, 2018, at Post 2289, at 2:00. The address is: 6038 S. Pilgrim St., Seattle, 98118. There is only street parking, so allow time to walk a little bit. You may be able to park at the Presbyterian Church, across Waters Ave., at Keppler St. We will start with cookies and ice cream sundaes, and try to start at 2:30. It is imperative that all the students arrive on time, so they have a chance to read their essay. Commanders and Presidents, please be sure to let us know how many members are coming from your Post or Auxiliary! Please continue to turn in your Community Service Reports before the end of each month following. Keep a copy for your files: These reports prove that you do the work you are supposed to do as an IRS 501 (c) 19 or (c)3 organization. The Post can send their report to the Dept. Sec, Robin Piatt, at "deptsec@vfwwa.net". The Auxiliaries send theirs to her at home: Robin Piatt - 415 116th St., Parkland, WA 98444. If you need the form, contact us! Send a greeting card to a veteran in a nursing home, hospital, or other medical facility; ask the local youth to perform music, dance or skits, etc., to veterans in nursing homes, retirement centers, hospitals, or other medical facilities. Everyone appreciates a little attention! Schedule a visit with a homebound or infirmed veteran. Share the gift of skill by repairing an item, or changing light bulbs or batteries in the smoke alarm for a disabled or elderly veteran or their family. Collect blankets for a homeless shelter, fill a basket with non-perishable food for a family in need. Thank you for providing care, comfort, and charity through simple acts of kindness for our veterans and their families. Each year the VFW honors three young people - From Boy Scouts, Girl Scouts, Sea Scouts or Venturing Crew - who have displayed outstanding citizenship, patriotism and love of country with the opportunity to be rewarded with college scholarships of up to $5,000. Congratulations to our District Adjutant, Harold Rodenberger! 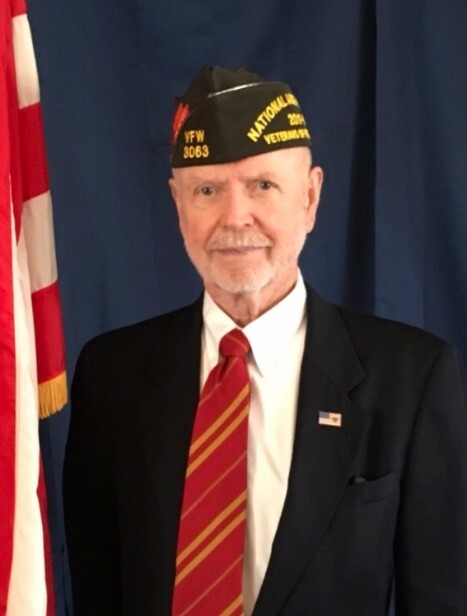 Comrade Rodenberger, a member of Ballard-Eagleson Post 3063, was appointed National Aide-de-Camp by National Commander, Keith Harman, for the 2017-2018 year. Click here to read why he was nominated for this position. Many years ago my morning routine was to get out of bed, pour myself a cup of coffee, sit in my favorite chair and settle into prayer. I was intentional about inviting God to join me and inviting myself to be in the peaceful presence of God, not praying about anything in particular. All was well until I got Winston, the kitty. The kitty would get up in my lap and roam around until he found a comfortable spot to settle in. I found him quite distracting and began to regret getting him. I thought I would never be able to be attentive to God's Presence/Prayer again. Then one day, I noticed...., that I had not noticed the kitty even getting into my lap. But there he was sound asleep. I began to think about how much he must trust me; how safe and secure and how warm and loved he must feel to be so sound asleep in my lap. I began to imagine myself resting in the lap of God; engulfed in the safety and security of His arms; surrounded by His unconditional love for me; knowing I can always trust Him. This has become a very powerful image in my own prayer life and relationship with God. So, just when you least expect it. God may reach out to you, even through a kitten.